We Buy/Sell Gaylord Boxes MT. 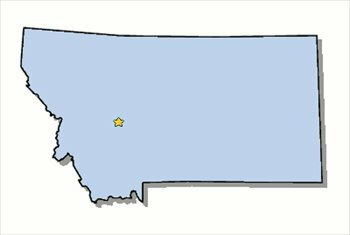 Our complimentary gaylord box recycling service is available for all customers in the state of Montana. No matter where you are located, we will send a truck to pick up your unwanted inventory 100% free of cost. We will purchase your lightly used gaylord boxes at a per-box rate. Upon completion of our box seller form, we will contact you about pricing and arrange the shipping and pickup times that are mutually beneficial. We are currently looking for customers within the “Big Sky Country”. The locations we are seeking connections in are the cities of Billings, Missoula, Great Falls, and Bozeman. However, if you are outside of any of those cities, we will still happily provide all of your boxing needs. One of the most popular features that we provide customers in any location is our complimentary gaylord box recycling service. Upon completion of the recycling form, we will organize for one of our trucks to arrive at your location to pick up any and all of your unwanted inventory. On the other hand, if you’re looking to sell your gaylord boxes, we will happily purchase them from you. All that is required is the completion of our box seller form, and we will arrange the pick-up. Lastly, if you are looking to purchase lightly used gaylord boxes fill out a box buyer form, and we will have your request sourced immediately. We guarantee all of our customers that we will provide them with the least expensive shipping option available. We look forward to doing business with you!